Reverse Logistics | HOBI International, Inc.
HOBI International, Inc. provides world-class reverse logistics management throughout each of our service offerings to ensure reliable, secure and efficient asset transportation. 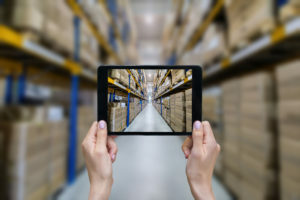 With locations in Chicago, Dallas and Phoenix, HOBI provides cost-effective in-house solutions for IT and mobile asset transportation worldwide. Our logistics team provides comprehensive on-site services, including data erasure and asset decommissioning, as well as fully insured packing, crating and documentation. HOBI transports and decommissions enterprise IT equipment safely and securely. Our skilled team of engineers are capable of managing deinstallations, point-to-point transfers and white glove projects anywhere in the world, and our secure chain of custody provides clients full disclosure of assets’ location and condition throughout each step of the process. HOBI’s reverse logistics processes ensure cost-efficiency and peace of mind during IT and mobile asset transportation.